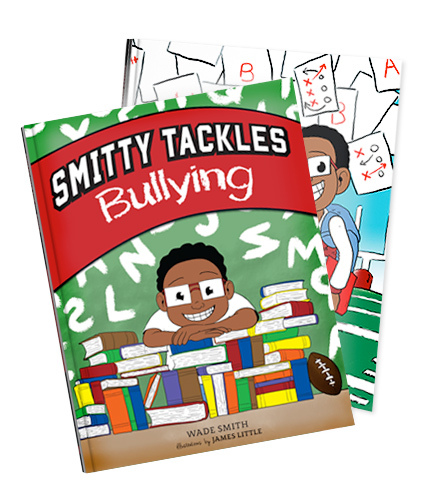 Currently accepting pre-orders of Smitty Tackles Bullying for the next four (4) weeks. Smitty is one year older and a year wiser since readers last saw him. 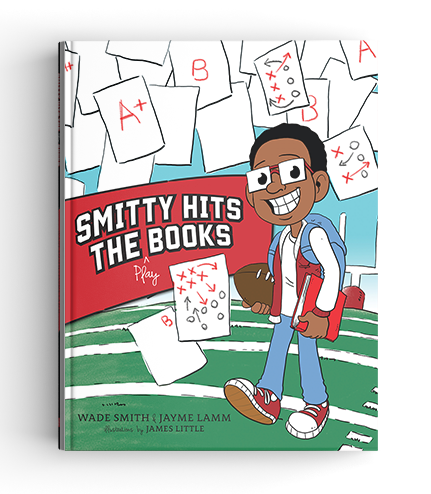 He has truly discovered his love of reading and is doing great in class and on the field, but when Smitty begins to notice his best friend, Luke, is skipping out of Reading Lab, he decides to investigate. What Smitty finds is that somone is bullying Luke because he isn’t a strong reader! Smitty knows he needs to take action. 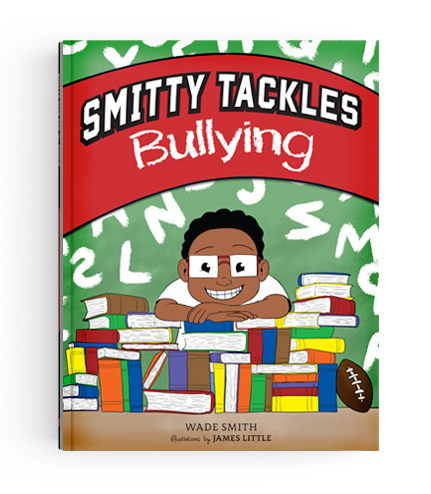 He confronts the bully and tries to apply his dad’s saying of, “you catch more flies with honey than vinegar.” Smitty uses kindness and understanding to conquer the bully, and in the end makes a new friend and finds a way to help Luke with his reading. This charming picture book is the perfect story for kids who may be dealing with bullying themselves, and proves that it isn’t ok to just stand by the sidelines. Sometimes, kindness, understanding, and true friendship are the keys to tackling bullying. No refunds accepted. All proceeds benefit the Wade Smith Foundation directly. Free shipping for all U.S. orders. Please allow 3-5 business days for delivery. Book personalizations should be sent to info@wadesmithfoundation.org with your order number once completed. For international orders, please use the link below to be taken to Amazon to complete your order.